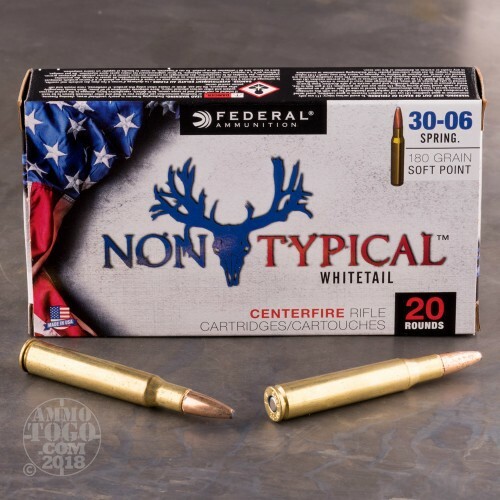 Federal's new Non-Typical brand aims to be as unique and stalwart as the hunters who will employ it in the field. It accomplishes this feat by using excellent components and tight quality control parameters. Federal Premium was established in 1922 and has been honing their renowned manufacturing processes ever since. 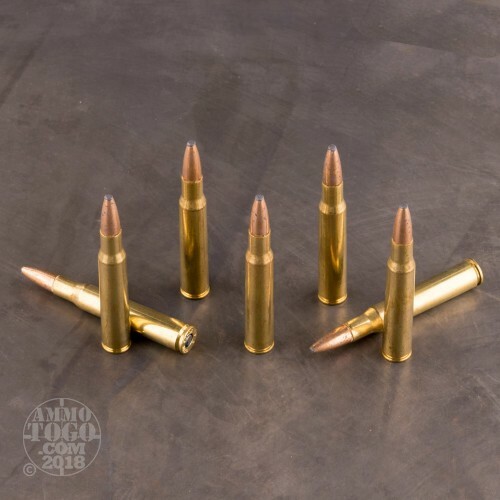 Their products are made in Anoka, Minnesota mostly using in-house materials that have been uniquely tailored for each respective line of ammunition. As a result, Federal is able to offer a wide range of options for shooters of all types and budgets. These .30-06 Springfield rounds sport 180-grain soft point projectiles with crisp, secant ogives and concentric copper jackets which offer incredible balance in-flight for tighter groups downrange. 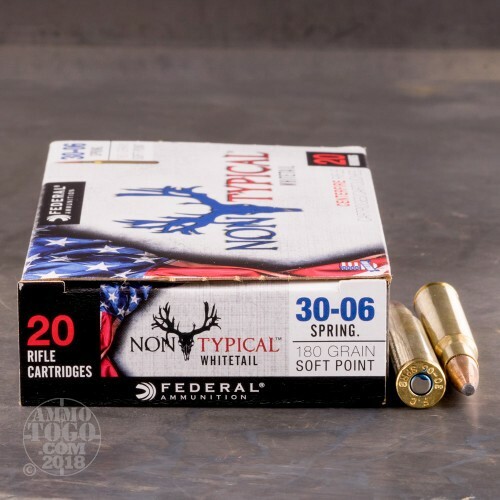 The bullet design is as lethal as it is accurate due to its exposed lead tip which has been engineered to initiate expansion upon impact with a game animal. During entry into a whitetail deer, the round will bypass hide and bone while carving a large-diameter, free-bleeding wound cavity. When that effect is factored in with the calculated deposit of energy into vital areas, hunters can expect humane kills with little to no chase time. 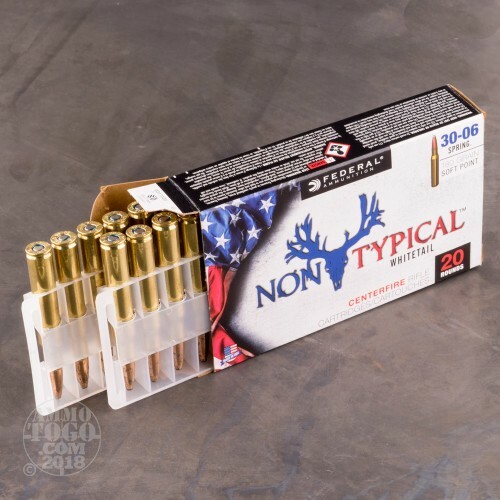 Each bullet is firmly secured within a reloadable brass casing and a non-corrosive Boxer primer.